I was speaking (writing) of rubber bands in my last post and this thought came to mind, Rainbow Looms. Now for those of you who are not frequently in the company of children and may not know about Rainbow Looms, let me introduce you to a new craft/toy craze that is sweeping the WORLD. It really starts with a very simple concept of stringing rubber bands of various colors and sizes together to make bracelets, etc… but goes on to some pretty complicated stuff. The loom itself is a small plastic apparatus with multiple upright pegs. I first heard of it when my cousin who has a young daughter started buying rubber bands in bulk to sell in her flea market business. Honestly, I didn’t see the draw and kind of mentally passed it by. Later at our Thanksgiving celebration her daughter and another young guest spent quite a bit of time making bracelets. The other girl had been doing it for a while and was making some fairly complicated patterns – these girls were into it, seriously. 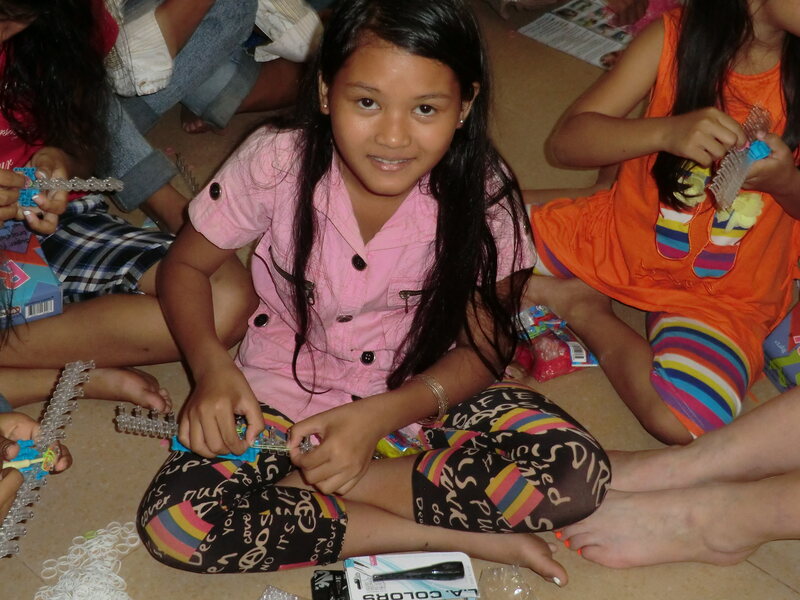 But I did not know the true power of Rainbow Loom craziness until we went to Cambodia. 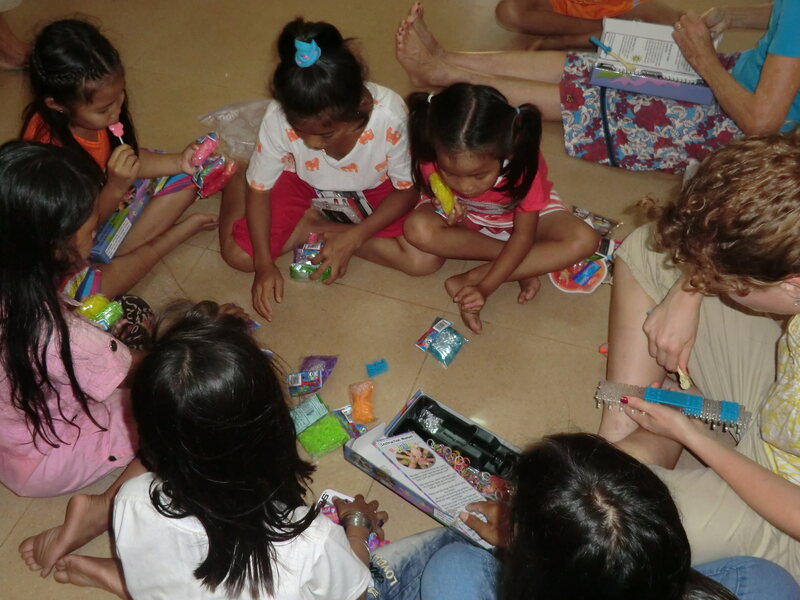 The Rainbow Loom “people” had donated a number of looms and bags and bags of rubber bands for us to take with us as gifts for the children in the orphan homes. There were a few extra so one day we gave some to the university students in the girls dorm. 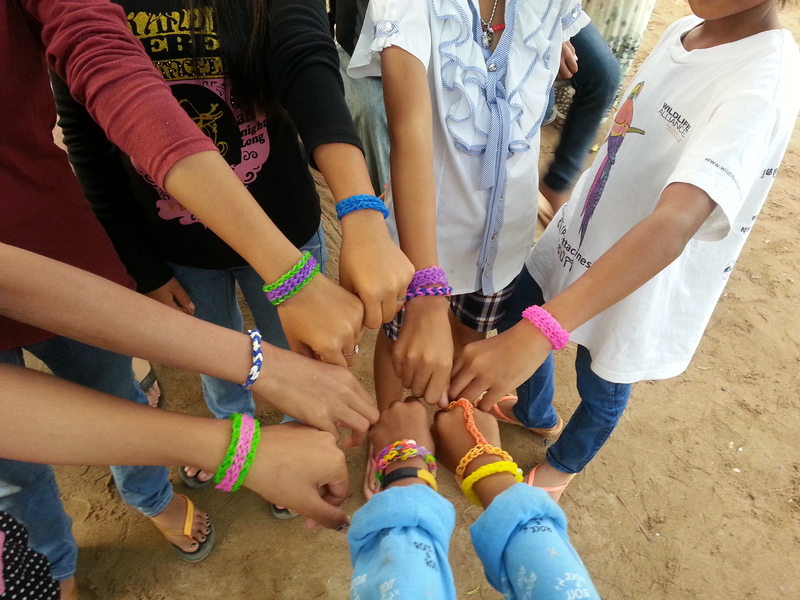 The next day we found out that one girl had been up till 3 a.m. making bracelets and hair bands to give away as New Year’s gifts for her friends. There is evidently no age limitation to the fascination. 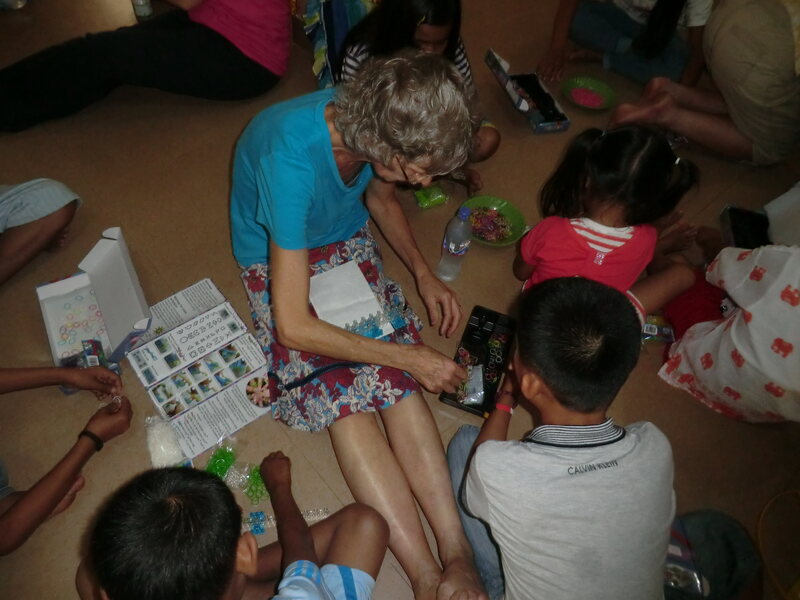 Later we took the loom project to each of the orphan homes and our experts sat down on the floor to teach and demonstrate. Hours later the madness was still continuing… They catch on quick. Thank you Rainbow Loom for a really fun time. Five minutes later everyone was busy. This is fun and we are making pretty stuff! So maybe we don’t really need the loom after all…. Just a few of the finished items.